Norland Bennington Log Cabin: The Norland Bennington Log Cabin is a large 3 roomed log cabin with a sheltered outside area under the 60cm canopy. Featuring its large sliding door which including the glass panels at either side of the sliding doors is over 3.9m wide and provides lots of light into the larger (473.6cm x 381cm) room of the building. This room then has a smaller room of 121.2cm x 241.2cm that is accessed from the main room and finally the smallest room of 121.2cm x 135.6cm is accessed from its own solid wood external door in the gable end. 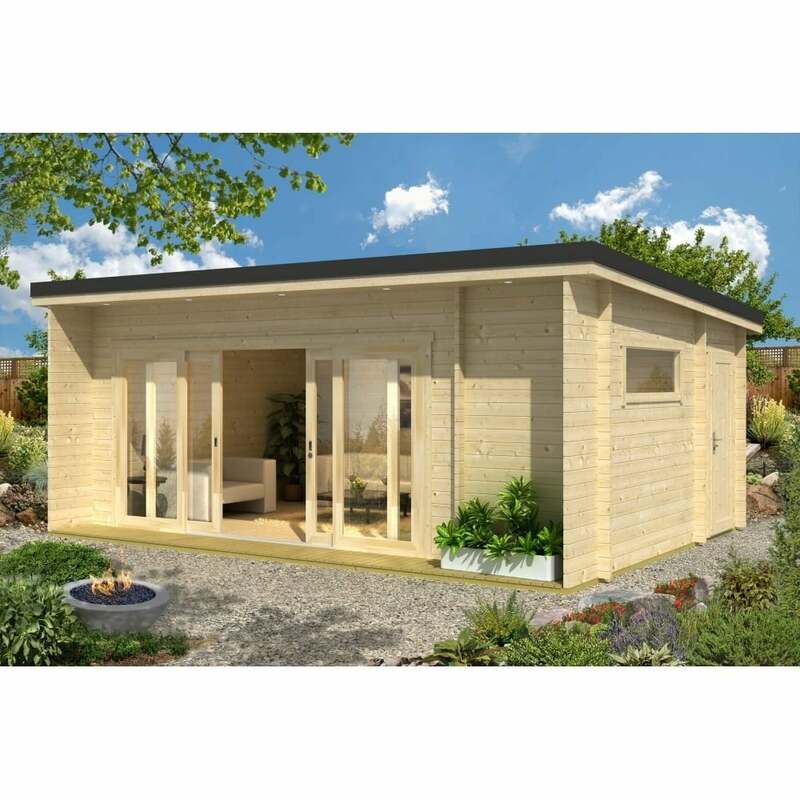 This Log Cabin is ideal for many uses including as a garden office, temporary guest accommodation or a general extension to the living area and it also creates a perfect garden / summer room where you can set our your garden furniture, maybe create a kitchen area in the smaller room with perhaps an outside toilet in the smallest room – the possibilities are endless!